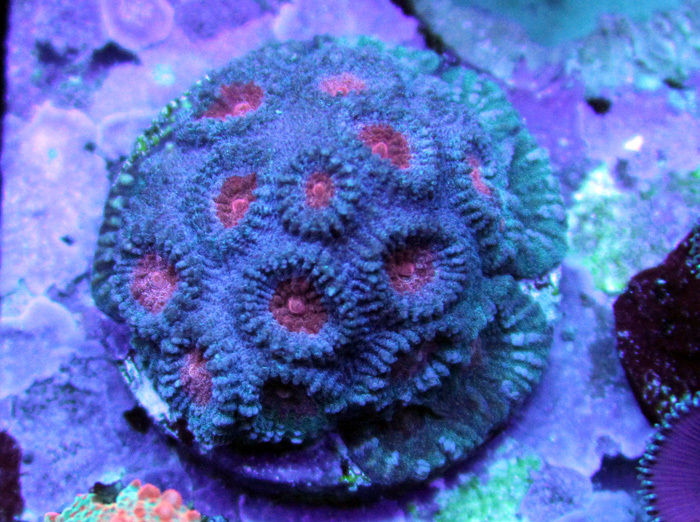 Here's a really nice favia from SniperSPS. 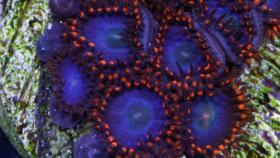 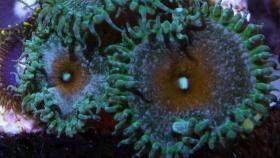 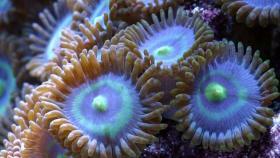 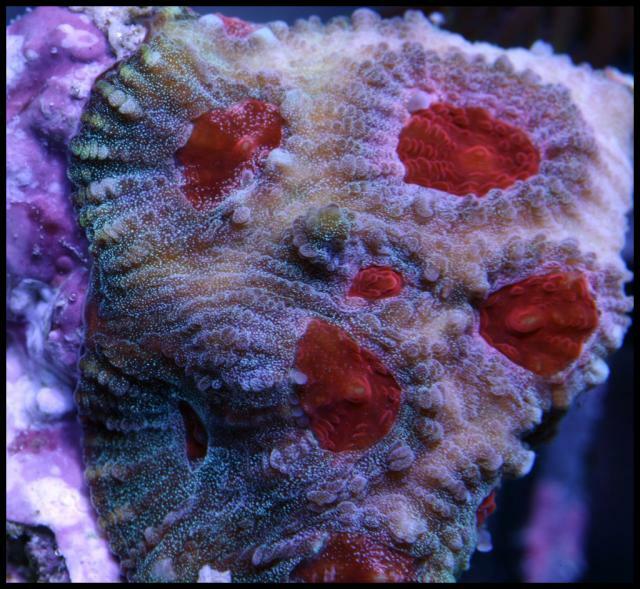 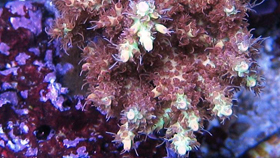 This coral has the REDDEST eyes we've seen. 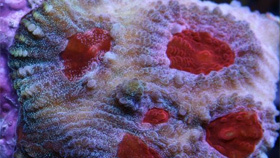 It's an unusual deep shade of red that contrasts beautifully against its steel blue body.